Valentine’s day is around the corner and in wine country, that happens to be our specialty. What’s more romantic than sweeping vineyard views, fine wine, gourmet dining and an awe-inspiring hot air balloon California ride? This is the time to impress your date and escape to Napa Valley for a romantic getaway. If you’re in the Bay Area, a tour that picks you up from the city is ideal. Check out what Valentine’s in the valley looks like and consider a hot air balloon San Francisco excursion. When you choose our San Francisco to wine country package, we pick you up from the city ands head into the gorgeous Napa Valley. There you’ll have the chance to explore wineries, nature, fine dining and a hot air balloon California ride! Imagine staying at one of the many beautiful resorts or boutique hotels and venturing off into the amazing towns. A popular option is staying at the luxury Solage Calistoga resort or Indian Springs resort to enjoy the hot springs and spas. After an exhilarating hot air balloon San Francisco travel day, you’ll want to relax in the warm waters. Our package includes a world famous wine tour, perfect for those looking to experience the fine wines of Napa and Sonoma. If you choose to participate in local Valentine themed events, Priest Ranch and Merryvale Vineyards have special wine and chocolate tastings happening within the month. 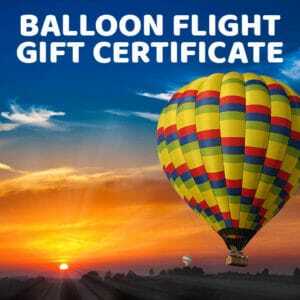 Don’t miss the chance to pair wine and chocolate after your romantic hot air balloon California ride. Want to really impress your date? The valley will be filled with special Valentine dinners. Domaine Carneros will be offering a dinenr and dancing event “L’amour au Chateau” where you’ll enjoy a French-style 3 course meal paired with their famous bubbles. Simoncini Vineyards in Sonoma will offer a 6 course meal paired with their amazing wines. You can’t go wrong choosing any special dining event in wine country! The hot air balloon San Francisco package is truly the best way to get to Napa and experience these romantic events. From fabulous dining, romantic hotel stays, unbelievable wines, and hot air balloon California adventures, wine country has it all for V-Day. Enjoy the gorgeous scenery, say “I love you” among the clouds, and make wine country your romance destination. Plan your trip and choose our hot air balloon San Francisco package to escape the hustle and bustle of the city. Already in town? Choose between any of our hot air balloon California packages. Happy Valentine’s Day from all of us at Balloons Above the Valley!